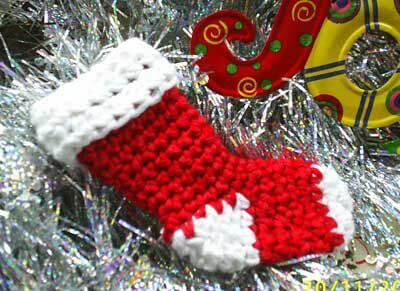 This year we’re offering you plenty of free Christmas stocking crochet patterns to help make your holiday even more special! 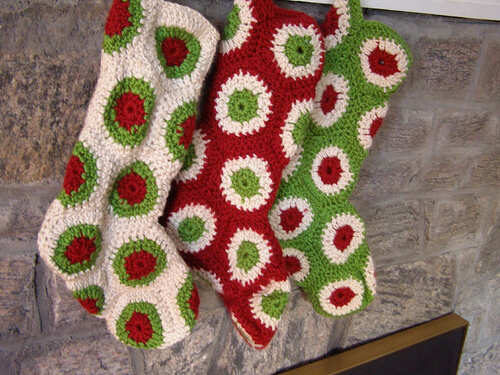 Christmas stockings are a strange and yet very special Christmas tradition. I don’t know who would have thought to leave toys in socks by the fireplace, but I definitely love it. These may not be the traditional Christmas colors, but I really love these shades of blue and green, they seem so innocent a pure, like the holiday! 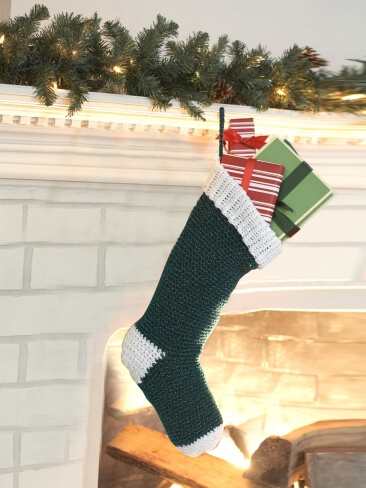 This stocking has more of a traditional pattern on it. It reminds me of something my grandmother would enjoy having, so maybe this pattern can hold a few warm memories for you too. Do you know a sweet little girl who loves flowers? Well how about giving her a homemade stocking with flowers on it? That sounds like a very loving gift. 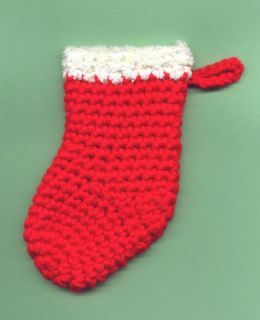 This stocking is going for the old sock look. Some people would look at it as a normal sock, but I think it has a special sense of character to it. Maybe you could give this to the manly man in your life. 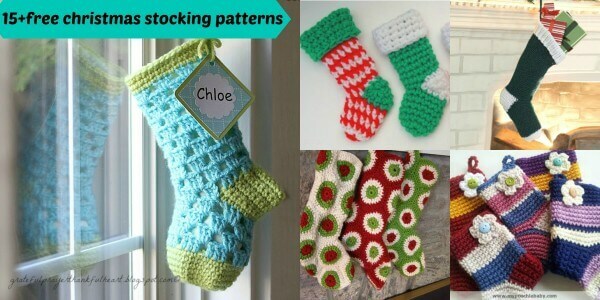 This is more of the traditional Christmas stockings that are sold in the stores, but this one you can make for yourself, and it’s so easy to crochet! I really love this stocking because it has the traditional colors and because it takes those colors and puts them into crazy patterns. This one is so warm and inviting! 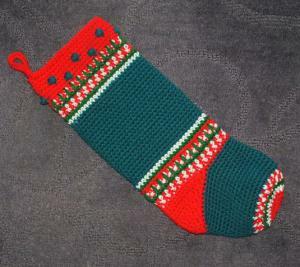 I think that this stocking would be perfect for a “first Christmas” stocking. It’s small and cute, just like the little one receiving it! If you love Christmas and polka dots, then you’re going to fall in love with this pattern. Nothing says excitement on Christmas morning quite like this! I really like the patterns on these stockings because they remind me of the patterns on homemade quilts. This will definitely add a touch of hand crafted love to your home! Here’s another Christmas classic. 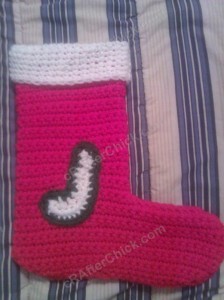 This red and white stocking is sure to bring a smile to everyone’s face when they wake up Christmas morning. Looking for a bit more of a challenge? Never fear, we’ve got it right here! 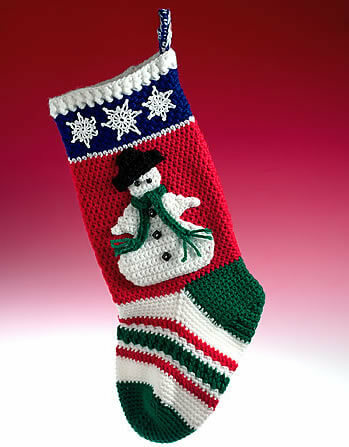 This stocking has a few different patterns going on and a cute snowman with a scarf! Give it a shot! 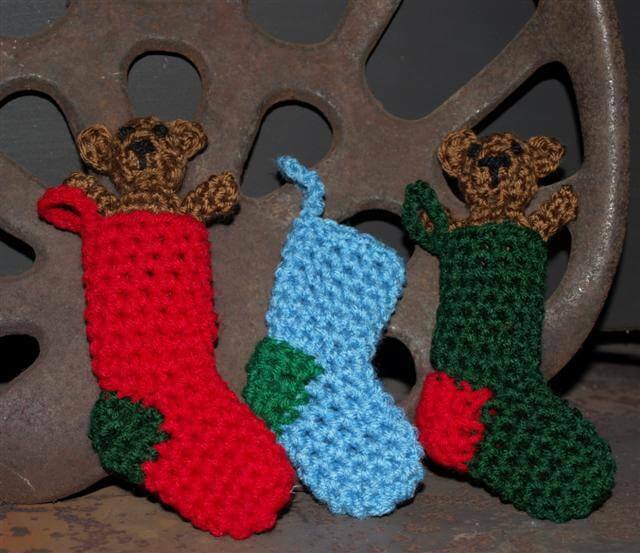 This link gives you a three for one stocking. One red, one green, and one with a little bit of both. That’s exactly what the Christmas spirit is about! I can’t be the only one who thinks baby shoes are absolutely adorable, right? So while not give that little one a little stocking as well? 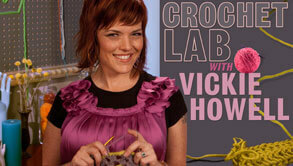 Here’s a cute little pattern that you might want to try out with the curious new crocheter in your life. 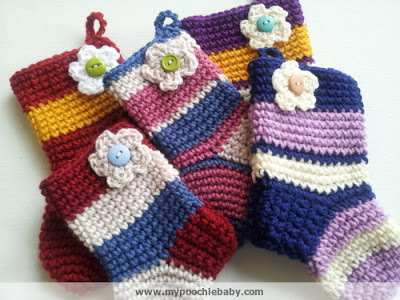 Share the love with this easy pattern! 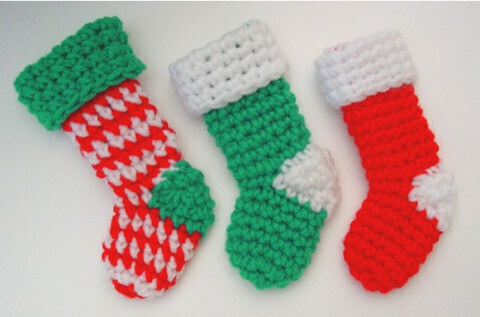 And last but not least, here’s a set of stockings that are a little more personal! 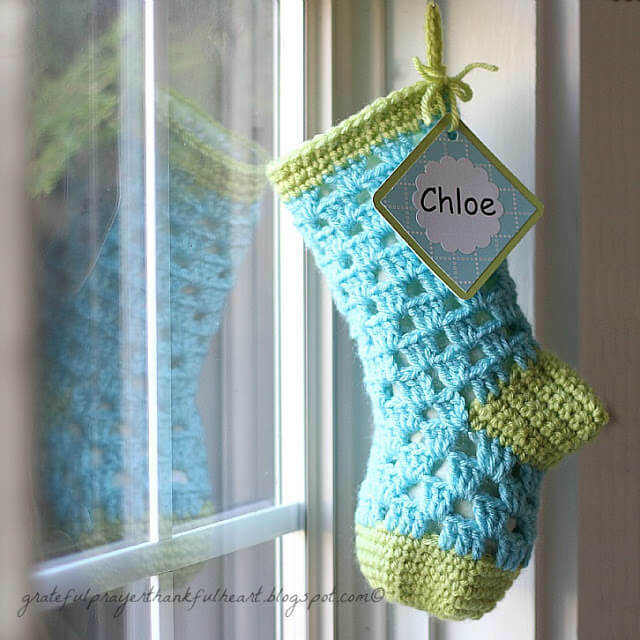 You can your initials on these stockings and really spread the cheer!